UPDATES!!!! OMG Royalty Club deleted everyone from it. Wth?? Maybe there is no club anymore??? 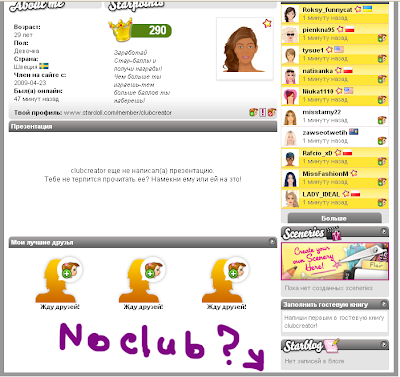 You will see that in clubcreator account there is no club ANYMORE. It's a glitch, or what?? Actually its weird...today I got a letter about that club from stardoll! It said something about I've been chosen to be in this exclusive club and I'd get gifts and see and test out things before anyone else...all this cool stuff. The Join here box wasn't even there.. I was confused. So i went back to the letter and clicked it again...did the same. So I went back to look at the letter...and the message is gone!!! Just vanished! It was so weird...I know I didn't delete it..